Utile was honored to accept two 2018 Urbanism Awards for our recent planning work at the Congress for the New Urbanism New England Chapter (CNU-NE) celebration last week. 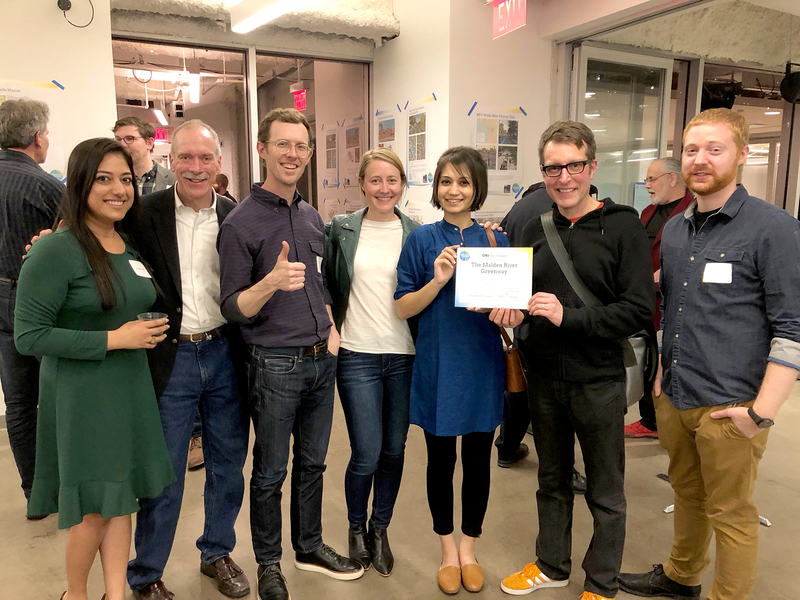 The Urban Engagement Award went to Go Boston 2030: Vision and Action Plan – the City’s mobility vision plan for the next 15 years – developed by the Boston Transportation Department, Nelson\Nygaard, the Interaction Institute for Social Change, and Utile. The Green Infrastructure Award went to Malden River Greenway – our planning study with the Mystic River Watershed Association and the cities of Everett, Malden, and Medford that lays out a vision to transform the river and create a world-class waterfront park system (team photo, right). Utile is grateful to be recognized by CNU-NE in support of their dedication to “building and restoring places people love”.